Deluxe gatefold 3LP version on 180 gram vinyl. During the golden age of Nigerian music in the 1970s, Tunji Oyelana elevated the realm of pop music by infusing it with the poetic storytelling of Yoruba folklore, blending the fashionable sounds of highlife, Afrobeat, Afro-rock, funk, calypso, juju and reggae and transforming them into something timelessly unique. 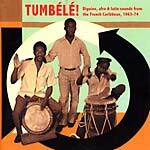 Tunji's first records came out in 1969 but it wasn't until two years later that the first record credited to Tunji Oyelana & The Benders, Agba Lo De/Koriko Nde, was released. The record turned out to be the smash that put the name Tunji Oyelana & The Benders on the national map. 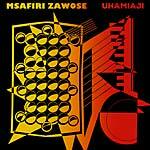 More significantly, the record's unique sound signaled the emergence of a new era and a new genre in Nigerian music. 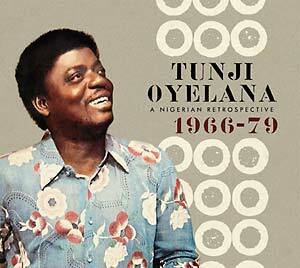 Tunji eventually signed to EMI Nigeria, his first eponymously-titled release on the label in 1974 yielding the instant classic "To Whom It May Concern." For Oyelana himself, the golden age continues as he lives with his family in London and continues to perform several nights a week at Emukay, the restaurant and cultural center that he runs with his wife, which has become a mecca for fans eager for the privilege of beholding a living legend at work. 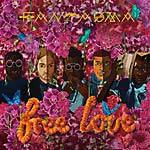 Includes a download code for the entire album.